The irrigation ministers of Egypt, Sudan and Ethiopia met in Addis Ababa last week for more talks on the Grand Ethiopian Renaissance Dam (GERD), with the ministerial meeting being attended for the first time by the tripartite scientific committee charged with assessing the filling of the dam’s reservoir. The meeting, the latest in a seemingly endless series supposed to iron out differences between the three countries, ended without concrete progress, though the three countries said again that they were committed to working towards an agreement acceptable to all. The recent announcement by Ethiopian Prime Minister Abiy Ahmed that construction problems would delay the completion of the GERD provoked mixed reactions. Some in Egypt breathed sighs of relief, though others soon began to wonder whether the announcement was a diversionary tactic, a political manoeuvre intended to deflect attention from the impact of the dam on downstream countries. Abbas Sharaki, head of the Natural Resources Department at Cairo University’s African Research and Studies Institute, said the delay was real and that satellite imagery confirmed that work on the central part of the dam, which is 130 metres wide and has reached 60 metres out of its planned 145-metre height, had ground to a halt. Ethiopia’s prime minister blamed the Metals and Engineering Corporation (MetEC), the military-based local contractor, for the delay, though construction work was in any case planned to halt during the August to September rainy season. Ahmed said that MetEC lacked the expertise to fulfill its duties, adding that the Italian engineering company Salini Construttori had continued to meet its contractual obligations. The first phase of the dam, involving the installation of two out of the planned 16 turbines, was originally slated for May 2015. Ahmed cast doubt over MetEC’s involvement in the project when he questioned its ability to complete the installation of all 16 turbines when it had failed to install the two scheduled for the first phase. Sharaki argued that the delays reflected problems in financing, pointing out that the MetEC plays neither a technical nor an engineering role. It did not design the dam, nor was it expected to manufacture or install the turbines. Its role was limited to procuring the turbines, and its failure to do so, Sharaki said, suggested liquidity problems. By seeking to blame the company Ahmed may be attempting to deflect accusations of incompetent management being levelled at Ethiopia’s government, Sharaki said. The company was only set up seven years ago and has no previous experience of such a large-scale project, raising questions about why it was awarded the contract. The accusations have damaged the company’s reputation and its ability to compete globally. MetEC is managed by senior army commanders, and the accusations of incompetence will inevitably raise tensions between the defence minister and the prime minister and intensify the rumbling conflict between the government and the army following the recent removal of a number of senior military commanders in Ethiopia. The delay also offers Cairo an opportunity to press ahead with the negotiating process which until now had been outstripped by ongoing construction work, not least because of Addis Ababa’s stonewalling, according to Sharaki. The stalling had meant that negotiations held in Addis Ababa on 15 May had failed to reach an agreement on long-overdue scientific studies of the dam, he said. He lamented the fact that Ethiopia has always evaded providing necessary information about the dam to the international committee that started work in May 2012. The goal of the committee was to identify the advantages and disadvantages of the dam and its impact on downstream countries. When the committee finished its report, it stressed that the scientific studies done were not enough and that other major studies were still missing. The first section of the report examined the dam’s engineering, safety factors and its architectural design, and condemned Ethiopia strongly. Ethiopia answered that the dam’s engineering, construction and safety were related to Ethiopian sovereignty. To facilitate matters, Egypt agreed to Ethiopia’s stipulations so that negotiations could be resumed. The second section of the report dealt with the quantities of water trapped and water wasted due to evaporation and leakage in the ground. The experts confirmed that the studies were deficient, suggesting that the dam was being constructed in a rush. The third part dealt with the environmental, economic and social aspects and the impact of the dam’s construction on both the environment and the people of South Sudan, Sudan and Egypt. These studies did not take into account the impact of the dam on the migration of some Sudanese people living nearby and on quarries and forests in these areas. The report, Sharaki said, should have been published freely. He said that it was important to use the report condemning Ethiopia as a form of pressure. It was also necessary to clarify the motives behind the construction of the dam to the Ethiopian people, he said, adding that it will never satisfy the purposes it is being built for. The dam will not prevent flooding as it is being built on the Ethiopian border with Sudan. The dam will also not prevent drought, as Ethiopians will not benefit from its stored water because it rises only 500 metres above sea level and the Ethiopian capital is about 2,500 metres above sea level, making it very costly to lift the stored water to higher areas. The main purpose of the dam is to generate electricity, with an expected capacity of up to 6450 MW. Ethiopia wants this to help to meet its cneeds and to export the surplus. The country is experiencing energy shortages as it struggles to serve a population of nearly 110 million people and meet growing electricity demand, forecast to grow by approximately 30 per cent annually. According to Sharaki, the dam is not a matter of life or death to Ethiopia, however. The water that will be caught in its huge reservoir will neither be used for drinking nor for agriculture, whilst the River Nile means life for all Egyptians. The dam is being established on the Blue Nile, which supplies the Nile with about 60 per cent of its water. The Ethiopians will one day wake up to these facts, knowing after spending billions of dollars on this project that it will not meet their demand for development, Sharaki said. Instead of such a huge project, Ethiopia should have opted for smaller dams on the Nile tributaries, which would have given greater benefits while not harming downstream countries. Should the dam be completed, it will affect Egypt’s share of Nile water amounting to 55.5 billion cubic metres per annum. Already Egypt is suffering from water poverty as its per capita share does not exceed 550 cubic metres per year out of a widely accepted standard of 1,000 cubic metres. 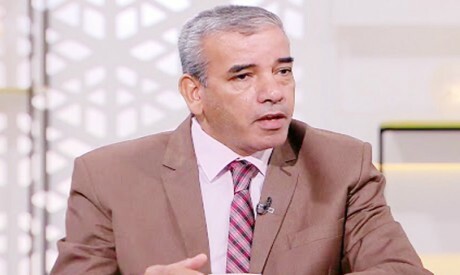 Egyptian diplomacy should focus on how the dam is managed and cooperate with the Ethiopians particularly in the first years of filling the reservoir so that damage to Egypt and Sudan may be avoided, Sharaki said. He gave the example of a similar situation with Uganda in 1965 when the Ugandans established a dam on Lake Victoria affecting 15 per cent of the Nile’s water. “We requested the involvement of three Egyptian engineers in the operation and the management of the dam in coordination with Uganda. Egyptian engineers are still present there. Their mission is not to supervise nor to interfere in Ugandan affairs, but is characterised by cooperation and the exchange of expertise so that the dam does not harm Egypt’s interests,” he said. These principles should be applied to the GERD, as stipulated in Article 5 of its Declaration of Principles, he added. There may also be advantages in delays in completing the dam to offer financial and technical cooperation to the Ethiopian side. Ethiopia is suffering from an accumulation of debt that had jumped in the past five years from around $14 billion in 2013 to about $36 billion in 2017. less than the expenses incurred. Egypt can also help with the technical side of the dam. It has experience building dams, importing turbines and installing them, Sharaki said. He added that China and the UAE could play a mediating role. China has investments in Ethiopia worth billions of dollars, and about 40 per cent of Ethiopia’s debt is owed to Chinese banks. Egypt’s relationship with China is strong and has been growing since President Abdel-Fattah Al-Sisi took office. Mohamed bin Zayed Al-Nahyan, crown prince of Abu Dhabi and deputy supreme commander of the UAE Armed Forces, visited Ethiopia in June this year to show political support to Ahmed, and he was accompanied by generous development aid and investment funding. “This economic assistance could also work in Egypt’s interests,” Sharaki noted.